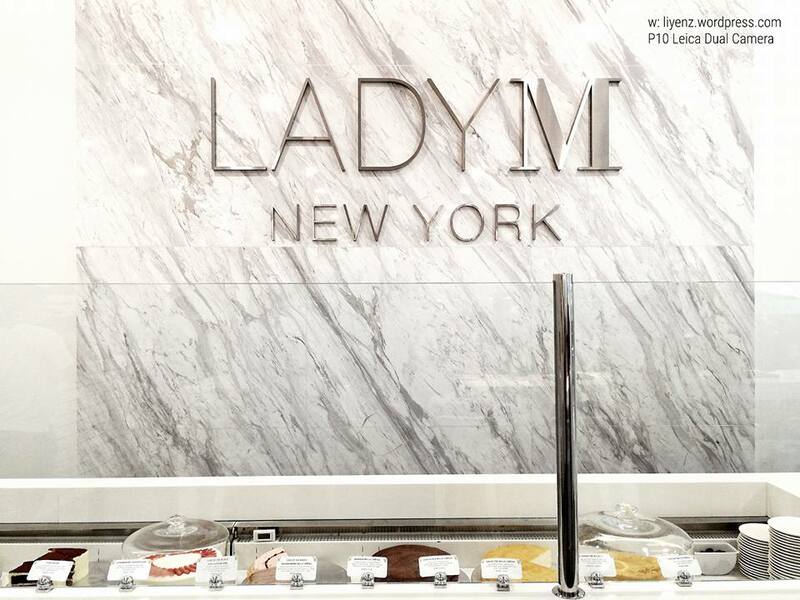 Lady M, 3 Gateway Drive, #02-25/26 Westgate, Singapore 608532. After the team lunch at the Din Tai Fung, my boss asked for a dessert place for second round. I did not expect there would be a second round, therefore, I did a quick search for desserts around the JEM and Westgate. 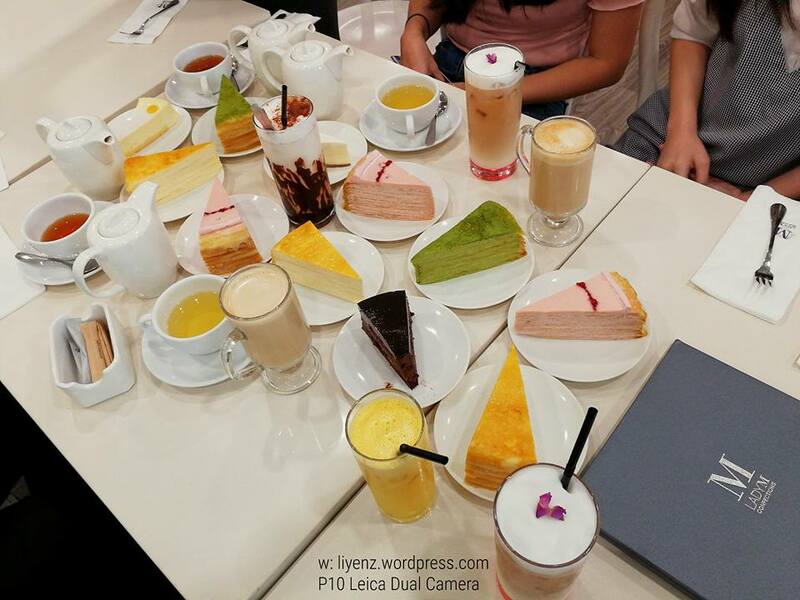 Since, West side of Singapore is my less travelled place and I am not a dessert person, finding a good dessert place gives me some challenges. Finally, we settled down at Lady M at Westgate. Lucky the place was able to accommodate large group of people. Initially the waitress wanted us to sit on the high table, which we rejected and asked them to combine some of the tables for us at one corner. Lady M, specialized on mille crepe cakes which was said to be no less than twenty paper-thin handmade crepes layered with ethereal light pastry cream. They are using the combination of French pastry techniques with Japanese etiquette of precision, Lady M prides itself on creating fresh and finest cakes. They do offer set of two cakes with 2 drinks of your choices. 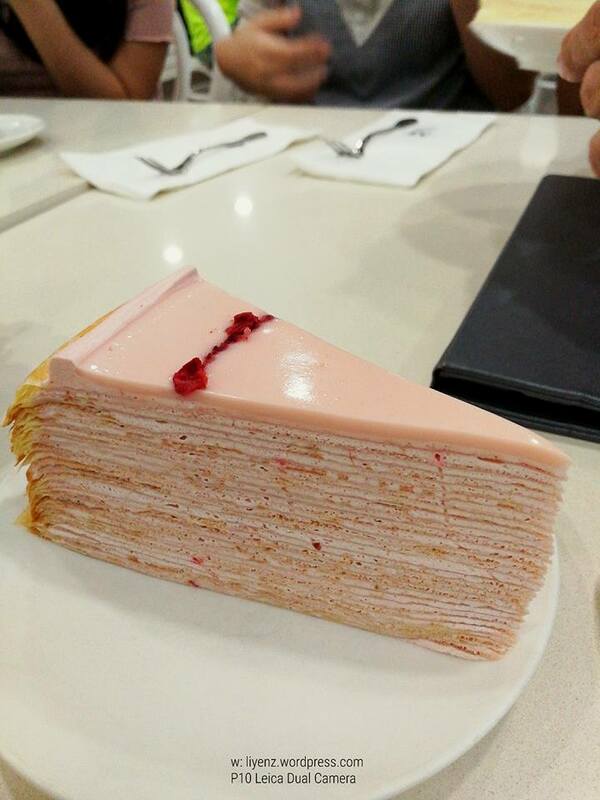 During our visit, it was March, the Japanese sakura season, they serve specially made Sakura berry mille crepe cake. The strawberry pastry cream layered on the the twenty thinned layer crepes. It tastes slightly sweet toward the end, and I do not recall if I tasted the sakura floral smell. If you do not like the favoured cake, you can always go for their signature cake, the Original Crepe Cake. They do offer normal type of cakes. One of them is the chocolate cake which my colleague ordered and I tried a small bite. It is very rich chocolate cake. My personal preference after trying most of them is the Matcha crepe cake. If you are going there with a group of people, I would not suggest you to order too many set of cakes because you may end up repeating the same cakes among your friends. Besides that, the portion of the cake is good enough for sharing.